Brand-new for 2018, now open! 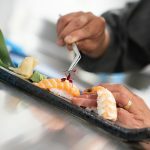 If you enjoy eating out in the Lake District but long for a fresh take on restaurant dining, you’ll love Mizu! 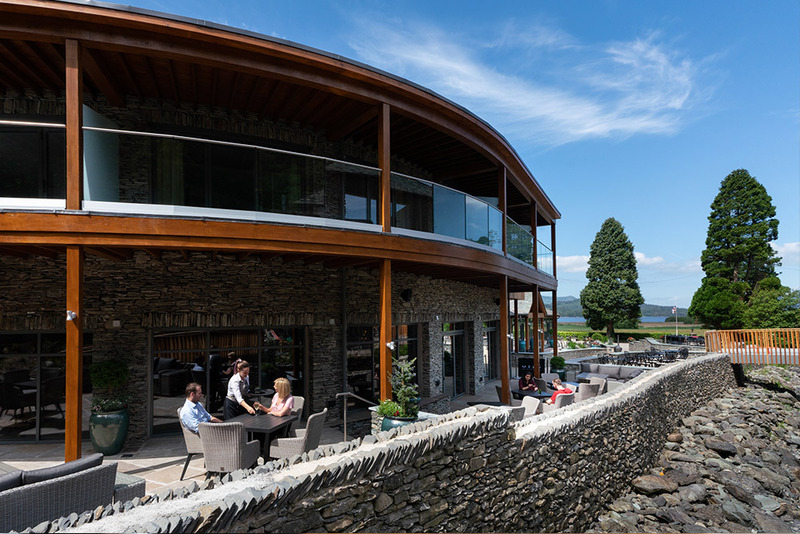 A pan-Asian restaurant in the heart of the Lake District. 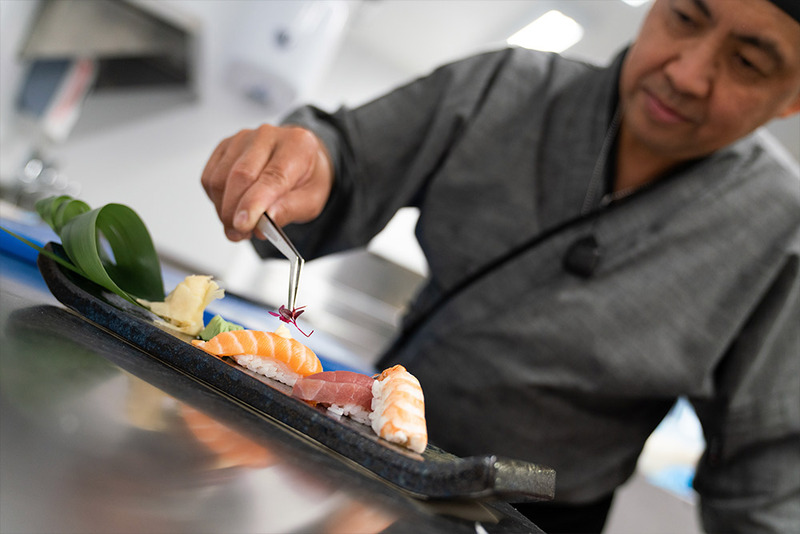 Mizu’s menu is a treat for the senses: a selection of tempting Japanese, Korean, Malaysian and Thai specialities, expertly prepared by our highly skilled team of chefs from the freshest ingredients. 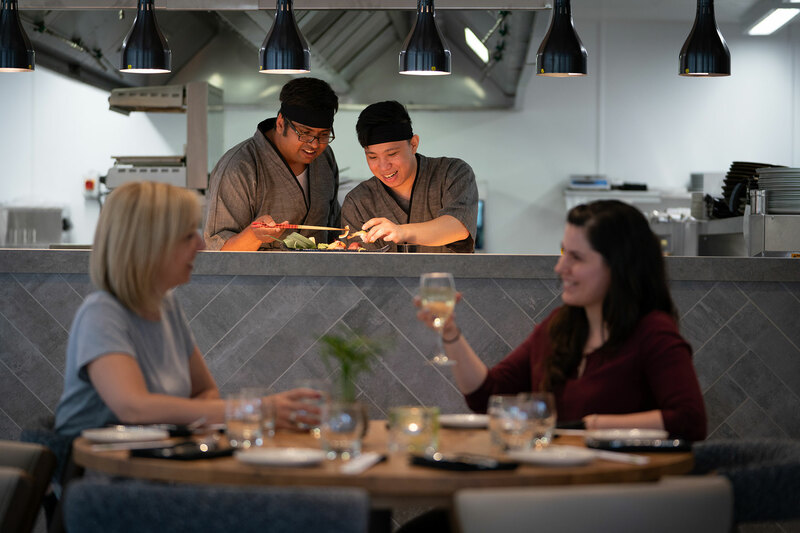 We’ve taken the Japanese expression for water – Mizu – as inspiration for our exciting new Pan-Asian restaurant on the shores of Derwentwater. With the lake on one side and the Lodore Falls on the other (plus our famous Cumbrian climate! 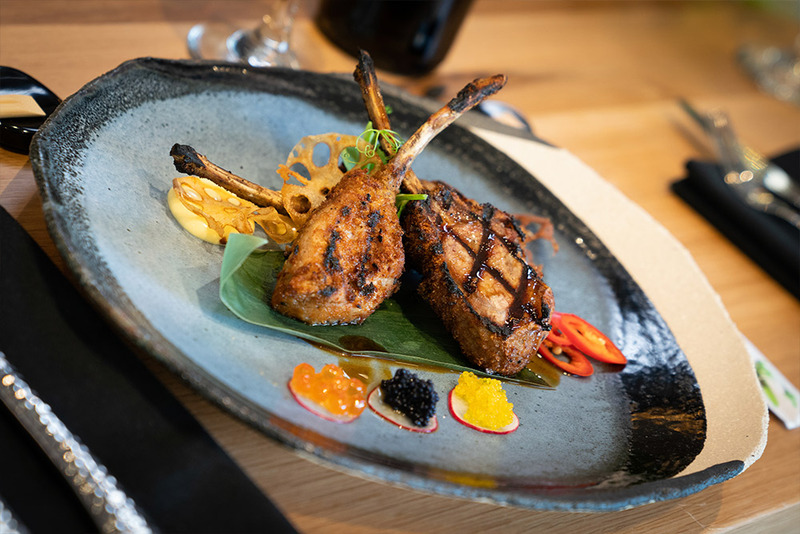 ), Mizu certainly lives up to its name, offering guests a unique opportunity to taste fresh, Asian-inspired dishes in the heart of the Lake District. 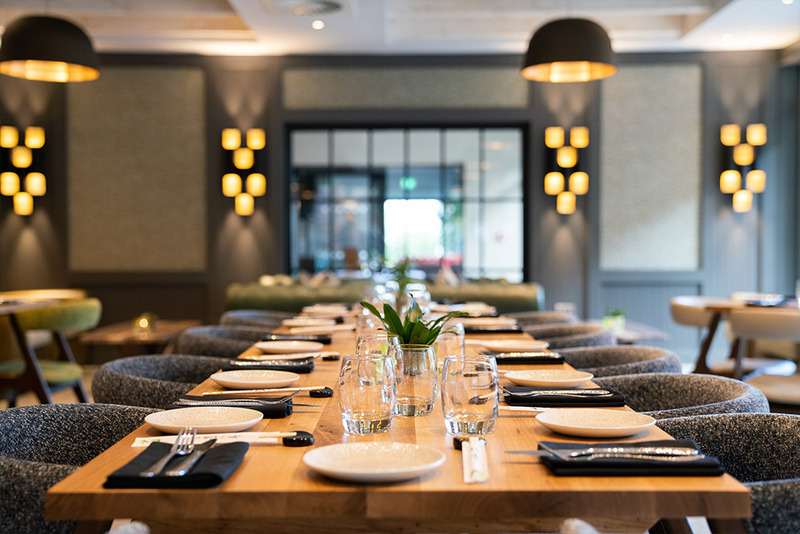 We’ve stuck to our Zen theme inside, too, where you’ll discover décor that’s designed to create a relaxed ambience, with cool, elemental colours, floor-to-ceiling windows and lots of natural textures and materials. 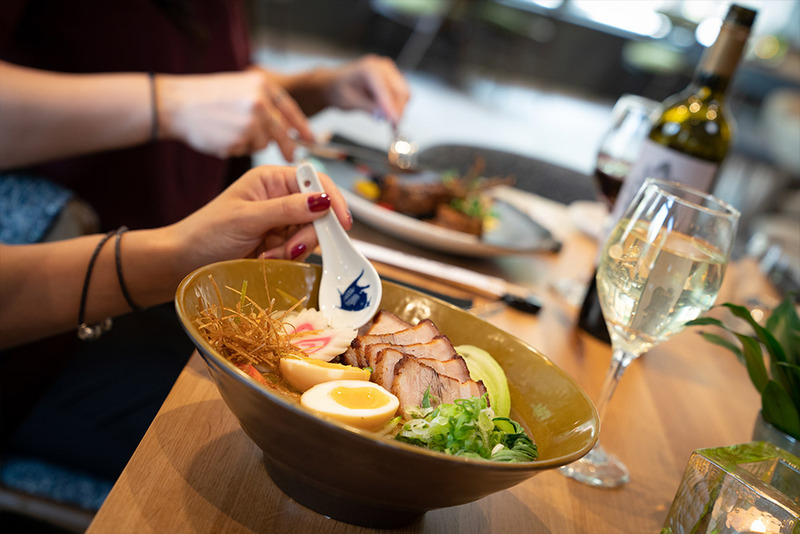 Expect sensational sushi and sashimi, crisp tempura, fragrant curries and delicately spiced bowls of ramen, as well as tender meat, chicken and fish dishes from the grill, Mizu-style. Lunch 12pm-2pm. Dinner 6pm-9pm. Closed Monday and Tuesday. 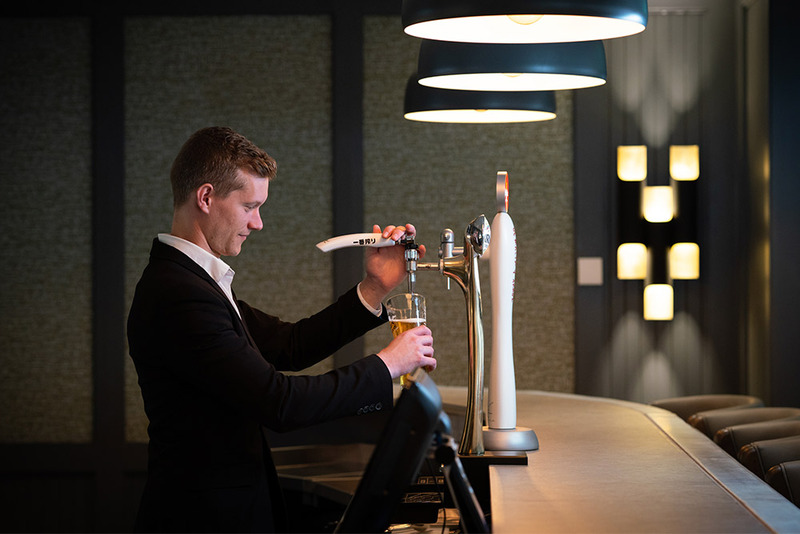 We’ll invite you to begin your Mizu experience with drinks at the stylish cocktail bar before taking your seat in the restaurant. If you prefer to dine alfresco, you can always decamp to the riverside terrace, where patio heaters and cosy blankets will help to keep the chill off on cooler days. 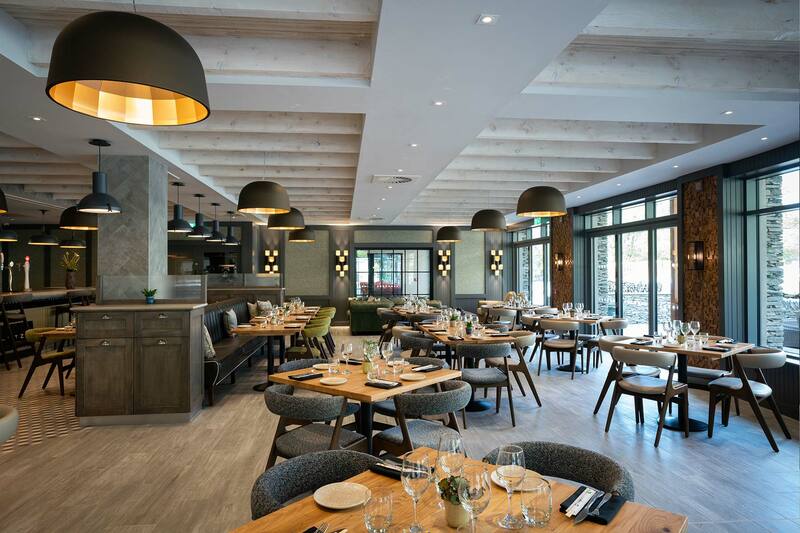 The open-plan kitchen offers a fascinating snapshot of a busy restaurant in action – see for yourself how great food gets from oven to plate. What a fabulous location for a laid-back lunch with friends. We recommend the relaxed vibe of the riverside terrace, where you can share our popular platters, mix and match a selection of sticks, salads, sushi and sides or even tuck into your very own bento box for an authentic Asian experience – all accompanied by the soothing sounds of the Watendlath Beck as it flows to the lake. Bliss! 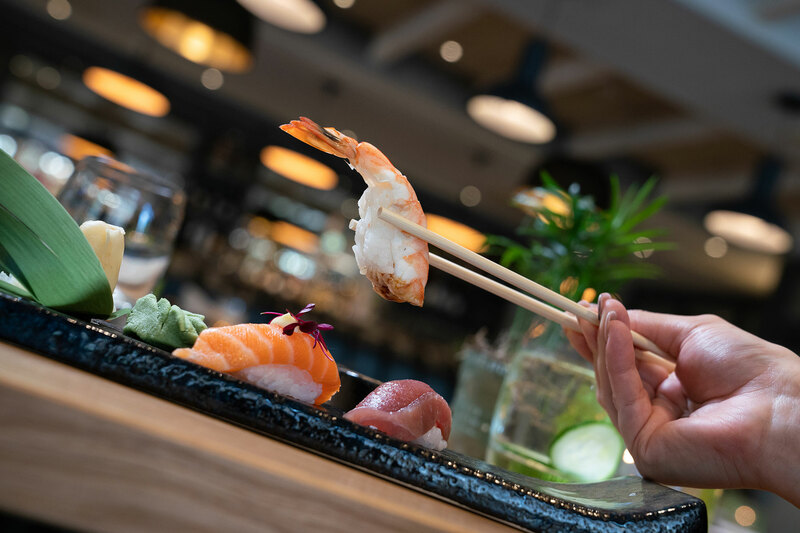 Whether you’re planning a romantic evening for two or a family outing that’s a break from the norm, Mizu is the perfect destination. There’s something for everyone on our eclectic menu from classic Japanese nori-wrapped maki sushi to fragrant Thai-style curries. 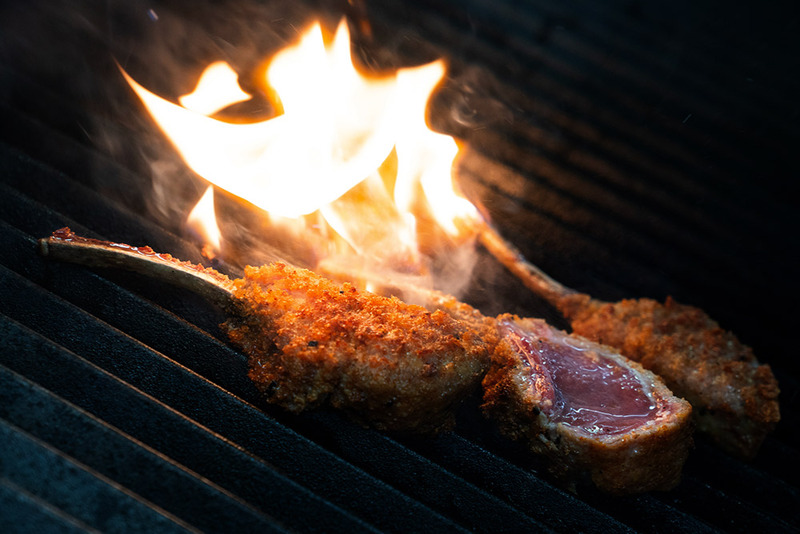 Dishes also include tender cuts of beef, lamb or chicken, prepared by our chefs and served straight from the grill. Simply delicious food, beautifully cooked. 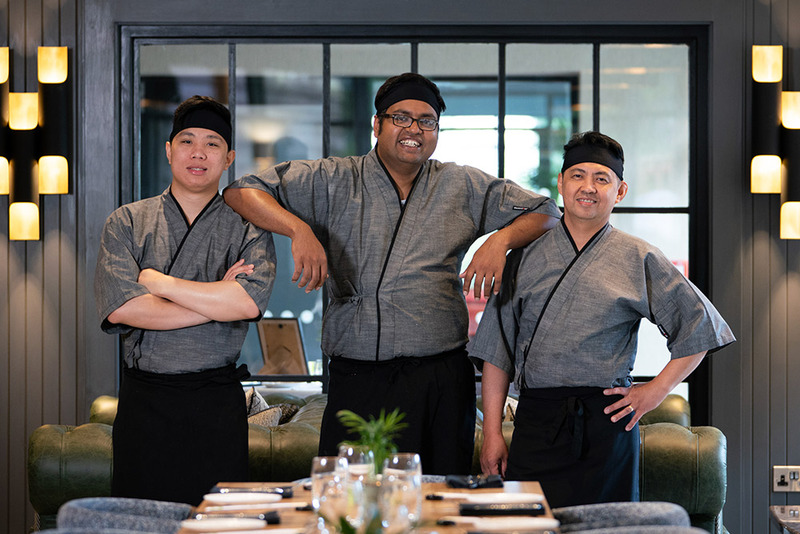 Kasun Jayasooriya is an exciting and innovative chef, who brings a dynamic energy to our new dining experience, Mizu. Originally from Sri Lanka, the beautiful spice island once known as Ceylon, Kasun was brought up on its rich melting pot of cuisines, with its Dutch, Portuguese, English, Arabic, Malay, Moors and Indian influences. He was sixteen when his elder sister moved away to live in Japan. It was whilst on a visit home, she introduced Kasun to Japanese food and its cooking styles and from that moment, he was hooked! His thirst for more knowledge resulted in his sibling having to send him cook books to study and experiment with. Kasun soon received a placement to learn the Japanese language and culture and to study Travel & Hotel Management at university in Tokyo. 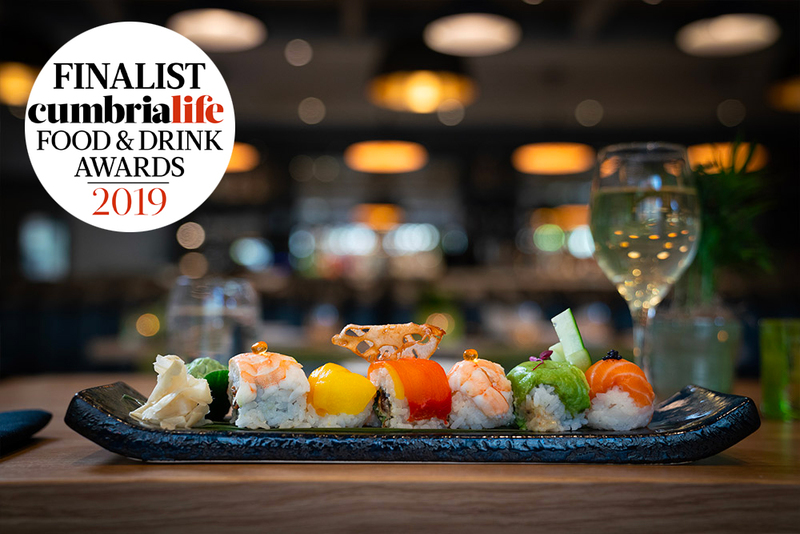 Kasun has held previous Executive Chef and Head Chef positions in London, namely at Sake No Hana Japanese Restaurant on St James Street, Nizuni Japanese Restaurant on Charlotte Street as well as at Bincho Yakitori at Exmouth Market. His first role being held at Toriken Restaurant in Tokyo. A passionate cook, Kasun delights in introducing diners to the variety of Japanese cooking. If you don’t know your Harumaki and Tempura from your Katsu, Oyakodon and Karamiso, five introductory methods of Japanese cooking to aid your choice of selection include: Yakimono meaning to grill food, Nimono means simmered or stewed dishes, Agemono refers to deep fried food, Mushimono is steamed food and Nama, which sets Japanese cuisine apart from all other world cuisine, is raw food.